Colt Sever of the Washington C.H. Police Department won the Marshmallow Challenge by the Record-Herald on Friday by hitting the marshmallow 110 feet at the Fayette County Chamber Golf Outing. https://www.recordherald.com/wp-content/uploads/sites/27/2018/09/web1_20180907_163112.jpgColt Sever of the Washington C.H. 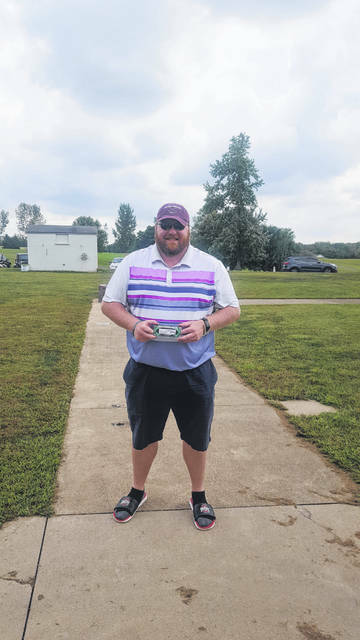 Police Department won the Marshmallow Challenge by the Record-Herald on Friday by hitting the marshmallow 110 feet at the Fayette County Chamber Golf Outing.